Fungi forming mold on food are hazardous. Fungi supplying antibiotics are beneficial. Fungi may be harmful pathogens. On the other hand, they are used for the production of food or medicine and in bioengineering. In either case, it is required to precisely understand their growth mechanism. 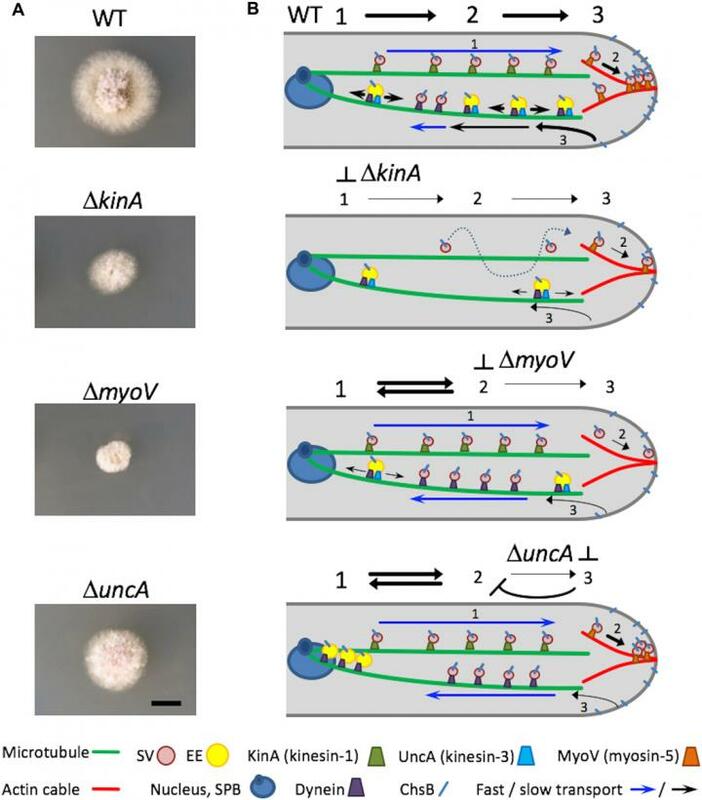 Researchers of Karlsruhe Institute of Technology (KIT) have made a big step forwards: Using high-performance light microscopy, they watched mold fungi as they grew in the cell. The findings are presented in Science Advances. Like most fungi, mold fungi are hyphal fungi. They consist of filamentous cells, hyphae, which may form large networks, mycelia. The hyphae of about 3 μm in thickness exclusively grow by directed extension of their tips. They grow very rapidly, by about 1.5 mm per day. An important objective of biological fundamental research is to understand this growth on the molecular level, as hyphal growth plays an important role in both health-damaging effects and beneficial applications of fungi.